The Samsung Galaxy Tab E was announced back in June and now US mobile carrier Verizon Wireless has the tablet available on their network. The company is selling the tablet off contract for $329.99, it is also available on a two year contract for $129.99 and on their 24 month payment plan for $13.74 a month. 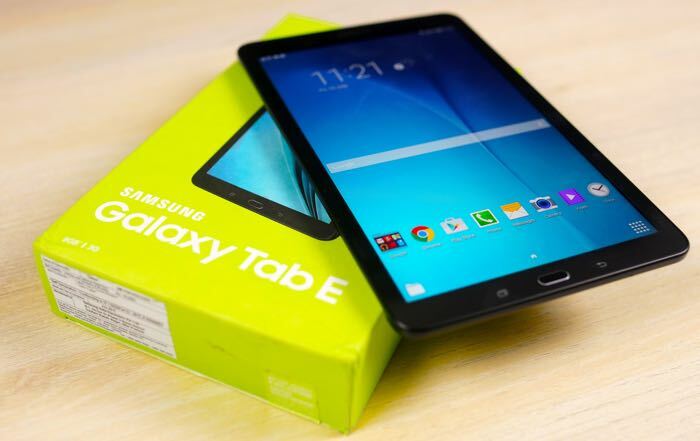 As a reminder the Galaxy Tab E comes with a 9.6 inch display that features a resolution of 1200 x 800 pixels, the device is powered by a 1.3GHz quad core processor. Other specifications on the Samsung Galaxy Tab E include 1.5GB of RAM, 8GB of built in storage and a microSD card slot for expansion. The tablet features WiFi, Bluetooth and 4G LTE, it also comes with a 5000 mAh battery and front and rear facing cameras. The front camera on the tablet is a 2 megapixel camera and the rear camera is a 5 megapixel version. You can find out more information about the Galaxy Tab E over at Verizon Wireless at the link below.